If you decide to take a vacation to Peru, then you simply have to visit Cusco, one of the world’s most popular tourism destinations, with its very own brand of magic and spirit. It’s also the departure point to the sacred city of Machu Picchu and its enchantments to be discovered. This fabulous tour combines our 1/2 day Cusco City Tour with our Full Day Sacred Valley Tour and a train tour to Machu Picchu. 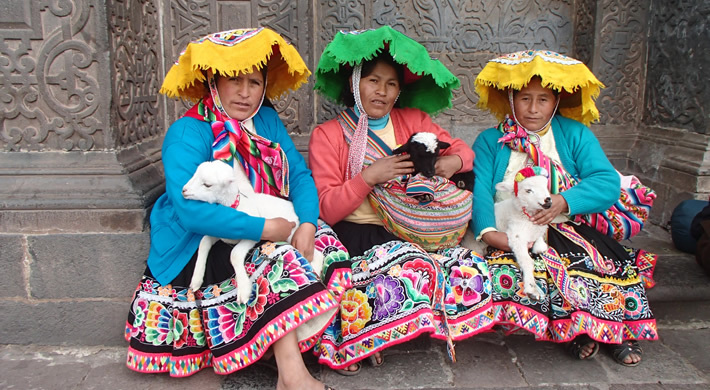 This tour is a full day and includes the village of Qorao (where is possible to take beautiful pictures of the landscapes from a lookout site ), Pisaq market where you can purchase beautiful textiles, jewelry and ceramics . Lunch at Sacred Valley, after lunch, visit the Inca Fortress and Citadel of Ollantaytambo is an attractive little town located at the western end of the Sacred Valley. The town has been built on top of original Inca foundations and is the best surviving example of Inca town planning. The town is located at the foot of some spectacular Inca ruins, which protected the strategic entrance to the lower Urubamba Valley. The temple area is at the top of steep terracing which helped to provide excellent defenses. After your tour, transfer to the train station and board the train for the picturesque journey to Aguas Calientes. On arrival to Aguas Calientes the hotel staff will be waiting for you to take you to your hotel. At 7:00pm our guide will visit you at your hotel to brief you about the next day events. Overnight in Aguas Calientes. We start early, taking breakfast and then with our guide we take the bus up to the citadel of Machu Picchu in time to catch the magnificent sunrise. Our professional guide will slowly show you around the main areas, recounting myths and legends passed down over the centuries and explain about some of the advanced building techniques the Incas used. After your tour you will have plenty of time to look around. After lunch it will be time to board the afternoon return train through the Sacred Valley to Ollantaytambo town and then a transfer back to Cusco. Overnight in Cusco. This trip lasts half a day. We will pick you up at the hotel. Will first visit the centre of Cusco, having with us a professional guide. First he will present the Cathedralguided sightseeing tour in Cusco such as: the Qoricancha (Temple of the Sun), which displays the best Inca stonework in the city, and the Cathedral in Cusco's Main Square with its magnificent colonial art. Go to the outskirts of the city to see the Inca ruins. Saqsahuaman, the amphitheater of Qenqo, the fortress of Pukapukara and the spring shrine of Tambomachay. Overnight in Cusco.